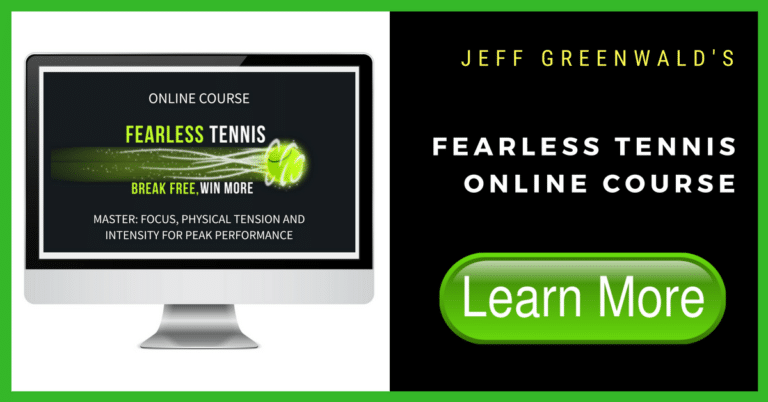 By now, you probably know that when it comes to competition and performance, I am committed to helping you focus more on the process–what you have control over–and less on the outcome, particularly, when you’re performing. This mindset may be the fundamental difference between you and the best performers in the world. Studies actually show that the more skilled you become the less you tend to focus on the end result in the heat of battle. You can be sure that the best athletes and performers in the world want to win every time they step into the arena, but when they’re in it, they aren’t focused on it. What then are they focused on? The answer: Process goals (i.e. Playing more aggressively, staying physically loose, sticking to their routines). If you have not learned to compete with this “process” approach and internal standard of success you probably have more of what’s known as an “ego-orientation” — where you focus more attention on the competition, their approval of you, and rankings, which invariably lead to muscle tension, frustration, and poor results. On the other hand, if you are more engaged in improving, executing the tasks before you to the best of your ability and building on your skills, you are more likely to be “task-focused,” which will lead to more consistent performances. It’s also more fun. And it doesn’t mean you can’t have both goals, but when you’re getting ready to do your thing or are in the middle of it, it’s all about process and executing your skills. The outcome will take care of itself. Easier said than done though, right? Because, I am pretty confident that you already know that a “task-focus” would help if you could access it more often. The tricky part is that you don’t really know on any given day if you will execute your shots, play loosely and win. There isn’t a guarantee. And I know this may bring occasional anxiety or uncertainty for you, especially when you see that it may NOT be a “good day.” The judgment and predictions come fast. As soon as the tension or evidence of mistakes are there, it’s like you’re watching the movie all over again. And I know the negative spiral can happen quickly. You must take the wheel back from your fearful brain, the same brain that wants the gold at the end of the performance, the reward. It will inevitably go in and out of this endorphine-filled promise. So, instead of being sucked into the outcome-oriented abyss, you smile. You “coach your brain” and remind it that you are in it for the long-haul and are committed to playing your game, whatever that may be. You will not settle. Yes, you want to win but you also want to enjoy what you’re doing. You want the feeling of being engaged, narrowly focused on your target and going for your shots. You are in charge. You play with intention and do what you KNOW you can do. Fear is mostly an illusion. It’s up to you to “catch” it when it kicks into this careful mode, protecting you from what it believes is akin to disaster–a loss and perhaps deep disappointment and social disapproval. So, when your brain knocks on your door and says, “You better not choke. What will people think if you lose this?”, smile and get back to the task at hand—with intention. Feel Grateful for the Opportunity. You probably enjoyed hitting the ball when you began playing tennis. Get back to that. Acknowledge to yourself that even though winning feels good to you (at least until the next match), more importantly, how assertive and resilient you are under pressure while breaking free from your old, outcome-oriented mindset, will bring you the most satisfaction and success. Your brain doesn’t do “gratitude” automatically. Remind it to chill out and enjoy! Set your intention and focus on process goals. (i.e. stepping into your return, attacking the net, breathing between points). Be specific and don’t choose more than two goals for any competitive event. It’s all about shifting your FOCUS to what really matters—breathing, swinging through the ball, being present on contact, taking a few calculated risks, and hitting the shots you believe in with a sense of joy. These goals are all completely within your control. Developing a more process-oriented mind-set requires a certain respect for the challenges that emerge and a deeper awareness of the enjoyment that comes from the moment-to-moment opportunity to exercise free choice. It takes courage to step back and look at your mental habits and recognize that you may be too attached to some short-term outcome. But once you do see it and recognize that you will not take any of your wins, trophies, or fleeting admiration that you receive with you, you can finally perform with freedom, on your own terms. And, then perhaps, you can have the best of both worlds–satisfaction and a few more matches in the win column.